You can set your options for your preferred recording device outside of Camtasia. Assuming you’re using a PC, here is where you go to choose which recording device you want to use. 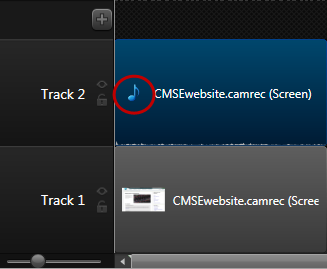 You can also access audio setting options from within Camtasia. If you click on Record the screen you can set options for both audio and web cam. If you have a USB microphone plugged in, it should appear in the drop-down list under Audio. If you click on Options, you will see more settings you can alter. The other way you can access and change your audio options is through Voice Narration which is under the Tools menu. Voice Narration is where you go if you want to record audio separate to recording your screen. I generally work this way and then match the audio to the screen recording at a later time. I have also used my iPhone to record audio and find the quality is really quite good. There are a number of free apps you can download and use for this. 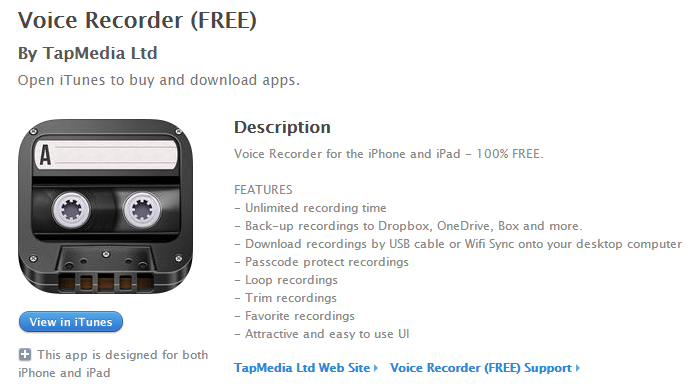 Some of them are better than others – the one I use is Voice Recorder by TapMedia Ltd. I would recommend being very organised with the naming and storage of your audio files. This App has functionality that allows you name each file and to create folders, etc. It also has options to either email the recordings, or save them into the cloud. The only downside with this App is that it produces .aifc format files, so you will need to convert the audio file from an .aifc format to another format (I recommend .mp3) to use the files in Camtasia. There’s a free online converter I use called CloudConvert. You need to create an account to use this, but it doesn’t cost anything. To convert a sound file, it’s a simple 3-step process. You select your file, choose your output format – then click on Start Conversion. 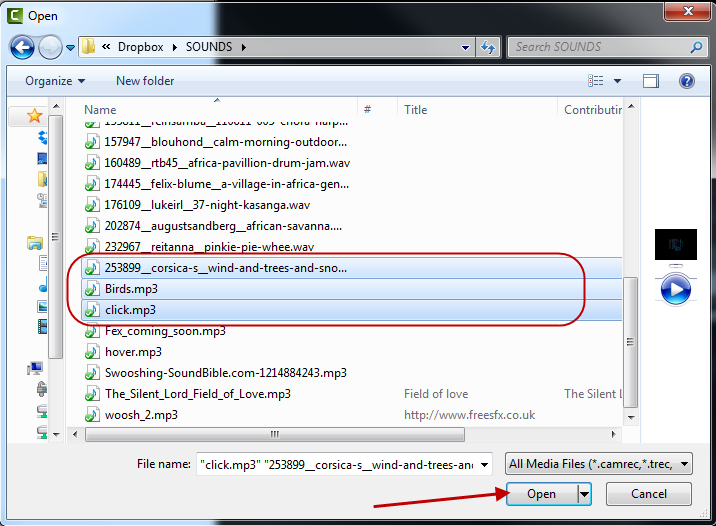 Once your file is converted you can choose from a range of options to save it somewhere – I usually just choose to click on “Download”, but you can easily save the file to Dropbox by selecting this option at step 3. Both image and audio files sit in the Clip Bin in Camtasia. If you have recorded your audio outside of Camtasia, you will need to import the audio files into the Clip Bin to make them available for your project. This is done from the Import media drop-down menu. You can select and import multiple files at one time. Once you’ve imported the audio files, drag them onto the timeline to add them to your project. They won’t disappear from the Clip Bin when you drag them; they will appear in both areas. If you’ve recorded your screen and audio together, you can easily create separate files after you’ve added them to your timeline by right-clicking on the file in the timeline and choosing Separate video and audio. The audio files can be recognised by the note symbol, whereas the screen recording has an image representation. Audio files are placed on their own track and can be moved around to match the audio with the visuals in the screen recording files.